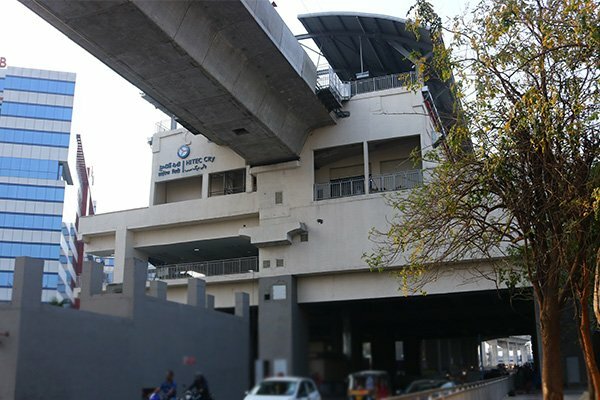 Hyderabad, Metro Rail News: Finally, the most awaited metro rail service of the 10-km Ameerpet-Hitec City Metro Rail service will become operational from March 20. Official Twitter handle of The Hyderabad Metro Rail Limited (HMRL) announced that the metro services will be flagged off by the Telugu states Governor E.S.L Narasimhan at 09:15 AM on March 20, 2019. The metro train line which is supposed to be opened in last December is finally available to public. 3 out of 8 stations – Jubilee Hills Checkpost, Peddamma Thalli temple and Madhapur stations – will not be open for public now but will be opened after few weeks because works are still underway announced by Hyderabad Metro officials. This is Coming under the Phase 3 of the blue line that covers eight stations stretched in 10 km – Taruni-Madhura Nagar, Yousufguda, Jubilee Hills Road No 5, Jubilee Hills check-post, Peddamma temple, Madhapur, Durgam Cheruvu and Hitec City. This metro train service will be definitely helpful to the commuters especially IT professionals who often travels between the Ameerpet and Hitec City. In view of the Lok Sabha elections ahead, Hyderabad Metro Rail Limited (HMRL) has decided to launch the services on the new route as a low-key affair. The CMRS( Commissioner of Metro Rail Safety ) has accorded the mandatory approval for commencing commercial operations on the 10 km Ameerpet- Hitec city route a few days back. Due to Hitec City Metro Rail station not having a reverse facility, the trains will be operated in the ‘twin single line method’. The two tracks are treated as two separate single lines and trains are operated in both ‘up’ and ‘down’ directions on each line separately. The frequency of trains between Ameerpet and Hitec City will be 9 to 12 minutes till the reversal system is ready, On other corridors it is six minutes.